This week’s newsletter giveaway is a double whammy! Not only will you receive two tickets to the New Brunswick Youth Orchestra’s NBYO on the Boulevard concert featuring David Myles on Saturday, March 22, at 7 p.m., but you’ll also win a copy of the Orchestra’s ECMA-winning Forbidden City Tour CD, recorded at the Forbidden City in Beijing, China, in 2007. The concert with David Myles will be held at the Wesleyan Celebration Centre, 945 St. George Blvd., Moncton. 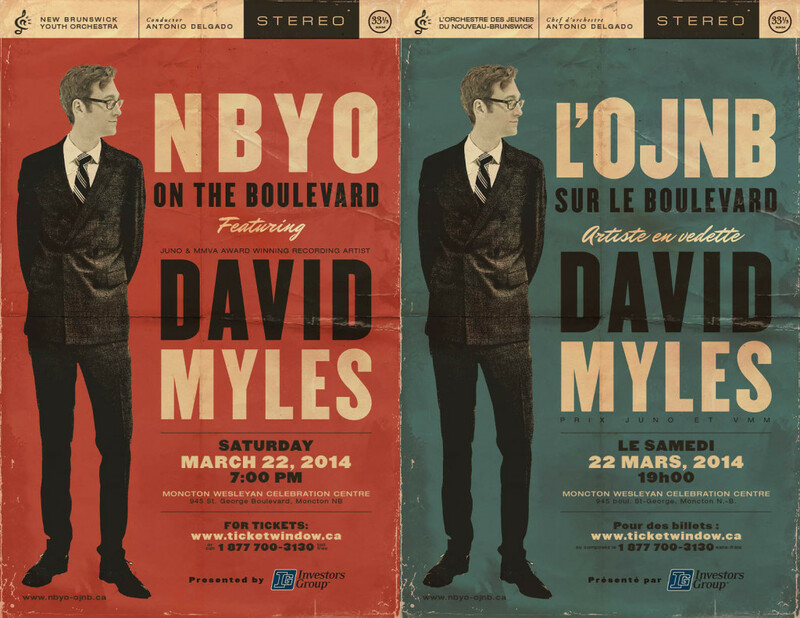 David Myles is a multiple JUNO, MMVA and ECMA award-winning recording artist and will be joining the NBYO as their special guest at NBYO on the Boulevard. Mr. Myles is a born collaborator, from his JUNO Award-winning collaboration with Classified (Inner Ninja), to his duet with opera diva Measha Brueggergosman (Whole to My Half), to his new co-write on Matt Andersen’s record Weightless. Please note: Even if you don’t win the tickets, you can buy them here! For details on how to enter your name in the giveaway, check out this week’s newsletter. If you’re not already a subscriber, you can subscribe by filling out the form in the right-hand column of this website. Thank you to the NBYO for donating the tickets for this giveaway!